if your main purpose for this new year is to give yourself the opportunity to smile calmly, without having to worry about what others will say? 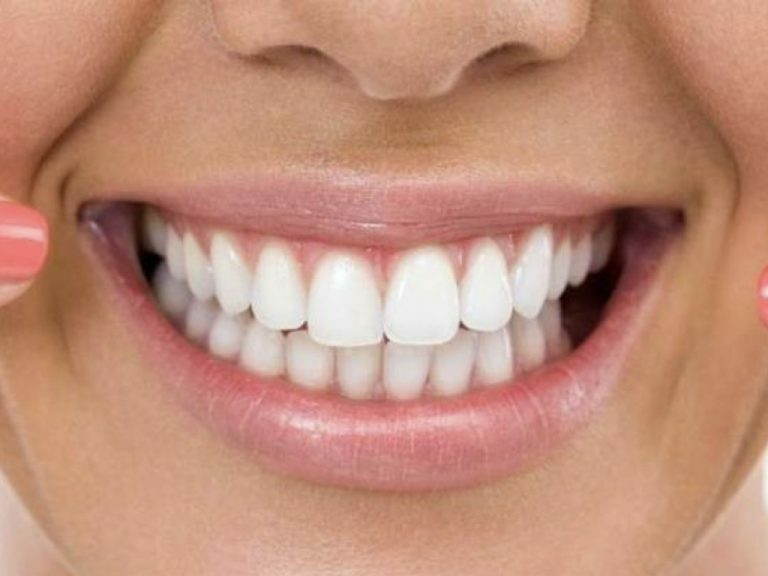 We know how important it is for people suffering fromedentulism (a condition in which patients do not have all their teeth, leaving large spaces in sight and causing enormous problems of functionality) to have a new opportunity to live their life as they have always wanted it: with a smile from ear to ear. The implantology, which basically takes care of appropriate and appropriate techniques for the placement of dental implants, gives them a chance to eat, talk and even sleep with all the tranquility that the patient deserves and desires. Those who have dental loss problems have to go through several uncomfortable moments that affect their mood and self-esteem. For example, those who suffer from this condition that we mentioned above usually have great problems to do one of the most basic functions (and one of the most enjoyable) like eating. The spaces between teeth make chewing certain foods with the remaining teeth are a real headache or torture. Imagine yourself trying to eat a packet of potatoes with nothing but your gums. Painful, right? Well this is exactly what happens to those who have this diagnosis. Talking is another of the great challenges faced by those who do not have all their teeth, because although they do not seem important for this function, the teeth play a great role at the moment of modulating the tone of voice and the pronunciation of words. The lips, vocal cords, throat and tongue clearly influence our ability to speak, however, by not having our teeth or having badly positioned pieces, the situation worsens. The role of healthy teeth and good placement is more than fundamental, as it contributes to modulate or control the amount of air that comes out of our mouth when we begin to articulate the words and phrases. Additionally, the language, which also fulfills a main function for speech, strikes against the teeth to pronounce certain sounds correctly. That is why if you know a person who has few teeth, do not hear him pronounce the words correctly or have a very fluent conversation. 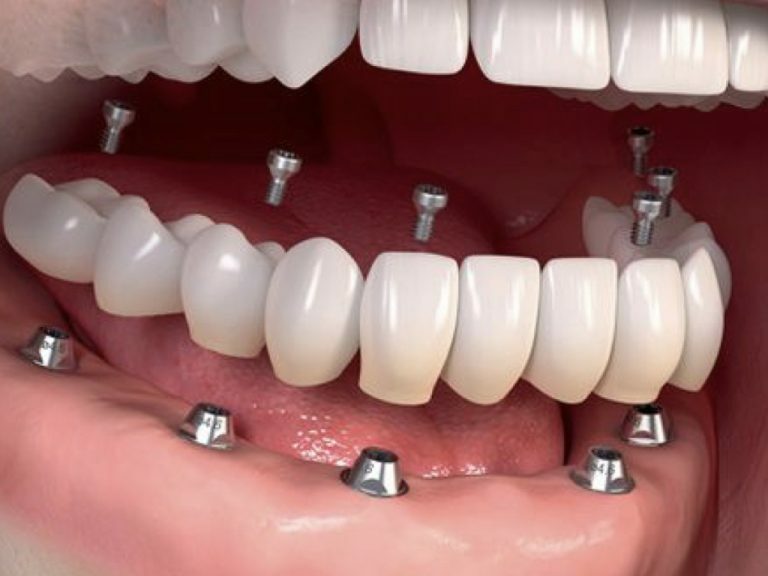 Now, those who suffer from edentulism and need dental implants, also have problems to sleep well or to rest, since they feel great discomfort in their mouth for the different activities carried out in the day, when finishing and arriving the night they feel all the ravages of the same ones . Worst of all, is that scientifically has been purchased that sleep positively influences the health of our mouth. When we sleep, we enter a state of rest more than necessary for our body and obviously for our teeth. While we dream the bacteria that are harmful to the oral cavity and those found in the blood are eliminated, which makes our health begin to improve. This study that was conducted revealed some of the most important factors that affect the health of our mouth, such as cigarette consumption, and the hours of rest we have for sleeping were determined as the second most important point, as it was found that of patients who sleep 6 hours or less, are more likely to suffer from periodontal disease. It is for this reason that experts want to raise awareness of the complications that have the health of our teeth not rest properly or at least for a reasonable time. For professionals in dentistry, it is very important to emphasize good oral hygiene and health practices, with the aim of preventing all these types of diseases and problems that can severely affect their quality of life. That is why it is time to make one of the decisions that will change the way you have been living all these years, to improve your self-esteem and self-confidence, with an implantology solution that can help you change completely. The dental implants that we place in our Vital Clinic are of the best quality and guarantee a 100% stable adhesion. It is very important that you know that although this type of implants almost never provoke an unfavorable reaction, it is possible, according to the immune system of each of the patients, that a rejection of the piece that is inserted in the gum may occur. bone; However, when the structure is removed and a new one is placed, this reaction disappears and the new implants are perfectly integrated into your mouth. So if you want to receive more information about this type of procedure and what you need to be an ideal patient for the placement of dental implants, we invite you to contact us at any of the lines of care we have available to you. If you have any questions you can also write us in the contact section of our website using the form that is there. We know that this is the best decision you can take to start the new year with better possibilities and greater confidence and joy. Our team of experts will help you improve your quality of life to 150%. 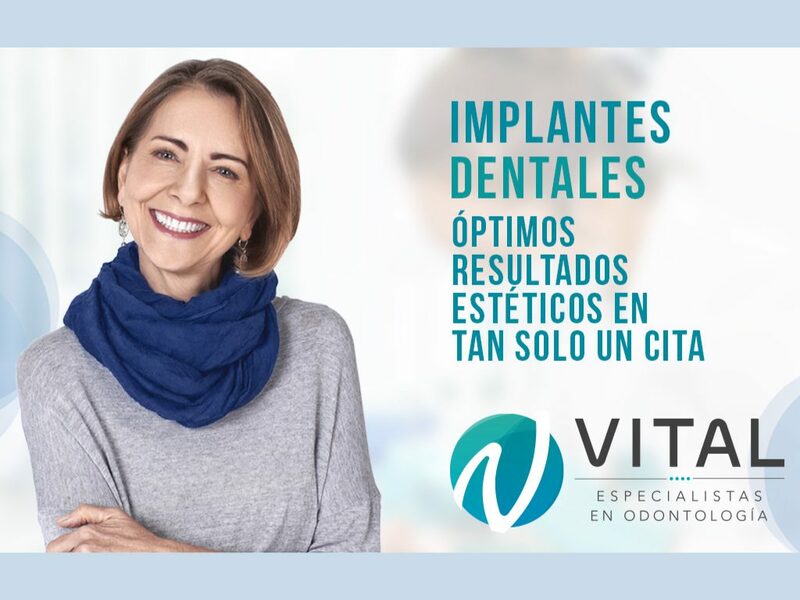 Clínica Vital, your best option in advanced aesthetic dentistry.